There is a dangerous condition in Washington, DC where people in positions of influence and great power are, at this very moment, pushing this nation and the world to the brink of a nuclear catastrophe. We did not arrive at crisis overnight but be sure we are at a moment of peril. Unless an enlightened citizenry on campuses, in town halls, in community centers, in places of work, play and worship, is aroused and demands our government step back from the brink, we may find the life of our nation, our own lives, and the lives of our loved ones, irrevocably changed. I am not an alarmist, but after a long career in politics which began when I was a student here at Cleveland State University, I can tell you, if you pay attention, it is not difficult to see that we are in jeopardy. As a member of Congress, immediately after 9/11, I went to the floor of the House of Representatives and warned that the US should not lash out. While we have a right to defend our nation and had a right to strike the Al Qaeda training camps in Afghanistan, we had no right to invade and occupy that country. We had no right to invade and occupy Iraq. We had no right to attack Libya. We have no right to attack North Korea, Syria, Iran, Russia, China or any other nation state. International law, the UN charter and numerous other conventions make aggressive war illegal. I agree with him but I don't think he goes far enough. The rage against Russia, for example, has everything to do with some delusional voters who cannot accept the fact that Hillary Clinton was a horrible candidate who ran a lousy campaign. Don't give me the record number of votes she got. She was running against Donald Trump. You or I, or no-name, could have ran against Trump and gotten the same amount she did. And probably without spending as much money as she did. She was a fool who ran a campaign based on vanity. And voters who were worried about the economy could not relate to her refusal to address that issue or to her constant campaign appearances with the likes of Jennifer Lopez, Lena Dunham, Debra Messing, Bruce Springsteen, Beyonce, etc,, etc. She had a reputation for being out of touch before this campaign. Remember the ridicule when she tried to claim that she and Bill were poor when they left the White House? That made her look like someone who struggled to connect with the working class. Then she struts around with one celebrity after another. So some voters (not all Hillary voters, just a small but vocal portion) tried to blame Russia and they have inflamed tensions and brought us to the brink of war. I do not forget that. I do not forgive them. Thursday, May 4, 2017. 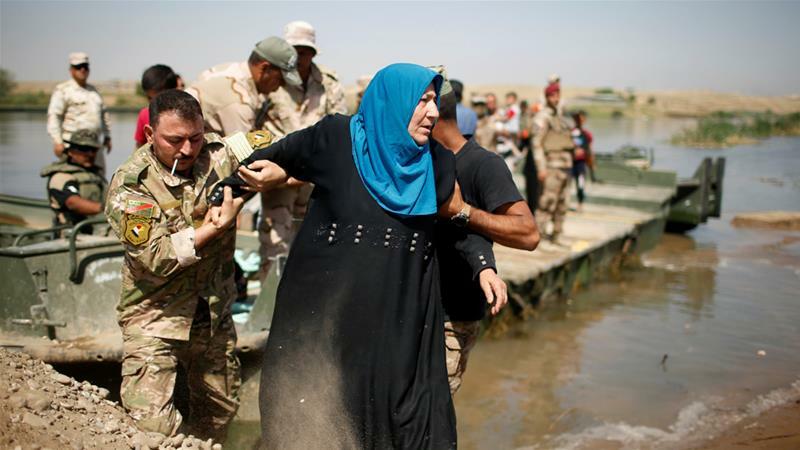 The Mosul Slog continues -- despite a lack of interest from the corporate press. Day 197 of The Mosul Slog. And here's what the mainstream press runs with. Maybe Day 197 should be in the headline. The original plan was this would take just a few weeks, remember? POLITICO asserts that US President Barack Obama is planning an October Surprise to influence the outcome of this year's presidential election. For those late to the topic, refer to Robert Parry's reporting on the 1980 October Surprise at CONSORTIUM NEWS. POLITICO'S Mark Perry reports that Barack is planning to start the battle to retake Mosul in early October and, "If Mosul is retaken, it would both mark a major political triumph for Barack Obama and likely benefit his party’s nominee at the polls, Hillary Clinton, undercutting Republican claims that the Obama administration has failed to take off the gloves against the Islamic State." 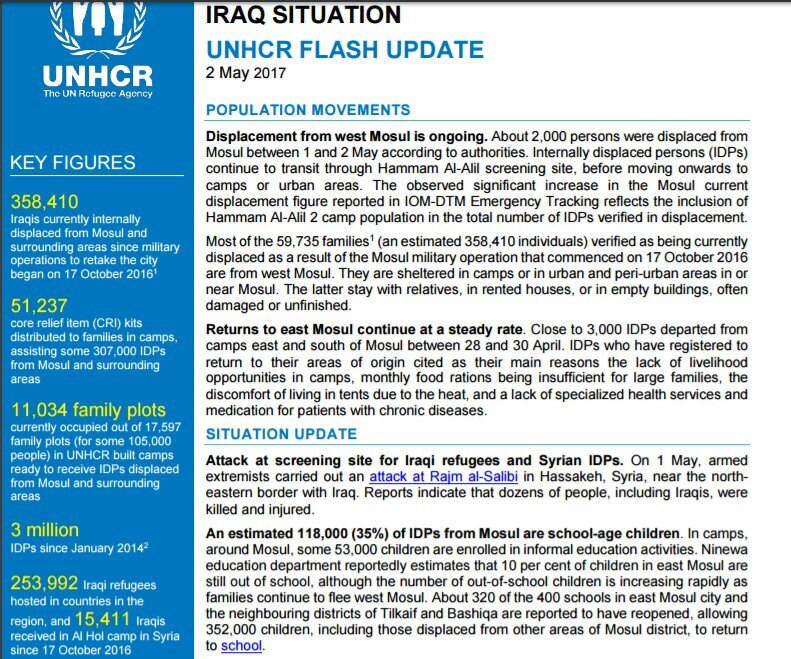 Mosul was seized by the Islamic State in June of 2014. Barack's 'answer' since August of 2014 has been to drop bombs on Iraq daily. Of course, Iraq's Prime Minister Hayder al-Abadi couldn't pull it together enough to even get it started in early October. Even if he had, the notion that Mosul could be retaken in a matter of weeks shows just how out of touch the Iraqi government and the White House was with reality on the ground in Iraq. And out of touch also describes the press. Elise Labott screamed "NO!" in the middle of a press conference when another reporter, Said Arikat of AL QUDS DAILY, referred to the Mosul operation as a slog near the end of October. QUESTION: Okay. Can we stay on [the Islamic State] and the battle of Mosul? QUESTION: Okay. Is it turning out to be like a slog, or how are things moving? How are they progressing? MR KIRBY: Elise, do you want to come take the podium? Elise's little outburst shocked even then-spokesperson John Kirby. But that's how the western media has played it -- denial, denial and more denial. -- Near Mosul, four strikes engaged three ISIS tactical units and a sniper team; destroyed two fighting positions, two artillery systems, a heavy machine gun, a medium machine gun, and an ISIS staging area; and suppressed nine mortar teams. 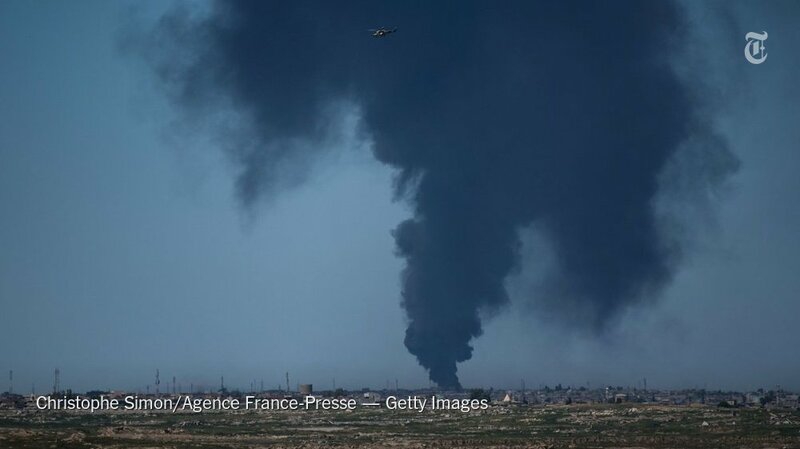 -- Near Mosul, May 1, three strikes destroyed three vehicle bombs and three ISIS fuel tankers, and suppressed three mortar teams. These daily strikes having been going on since August of 2014. A fact the corporate press also tries to bury. Witnesses and survivors of the US strike say the whole US story about ISIS putting them in the homes never happened. Rather, they insist airstrikes had been leveling houses in the area for days, and ultimately everybody ended up collected into just three houses close together, hundreds of people from scores of families, when major US airstrikes came and brought the buildings down on top of them. Indeed, the whole reason the houses had been so popular with fleeing civilians is that they were relatively far away from the fighting, and they assumed there’d be no reason for them to be attacked, since they were small and isolated. The Pentagon has yet to respond to the eyewitness accounts, which radically differ from their own version of events. THE BAGHDAD POST reports that MP Mohamed al-Ja'fari has said that the reconciliation is "doomed to failure." This is just one opinion, right? He's a member of State Of Law. State Of Law is the political coalition created by Nouri al-Maliki to avoid running with his political party (Dawa). So State Of Law is making clear that they remain opposed to reconciliation. And Hayder al-Abadi, the current prime minister? He's also a member of Nouri's State Of Law coalition. Which explains why he does nothing to bring about reconciliation either. So get ready because the never-ending Iraq War is never going to end. As long as the government persecutes a group, some organization will rise up -- it's the basic reaction to persecution. But don't worry, George tells us, with money, there will be reconciliation. Nancy Pelosi was Speaker of the House, it was 2007. And Iraq promised reconciliation. They never met the benchmarks then-prime minister Nouri al-Maliki signed off on. But they kept getting money, remember? Even though, remember, Nancy Pelosi, failure to live up to the benchmarks was supposed to result in pulling all funding. See, in fact, I wrote a whole book about it: We Meant Well: How I Helped Lose the Battle for the Hearts and Minds of the Iraqi People, in 2011. At some point, you'd expect the corporate press would be required to note these basic details -- even if only for context. But proper context is the one thing the corporate press no longer wishes to convey. It's all about opinion and personalizing these days. Hotheads distracting the American people from the real issues. The Mosul Slog will soon hit 200 days and that alone is news. Equally newsworthy is how little has been accomplished. The operation, for those who've already forgotten, was supposed to be about rescuing the citizens of Mosul, improving their lives. But they are the ones who have suffered the most during this operation. Maybe someday the corporate media will do its job? The Challenge in Jackson Mississippi: to Govern or to Transform?